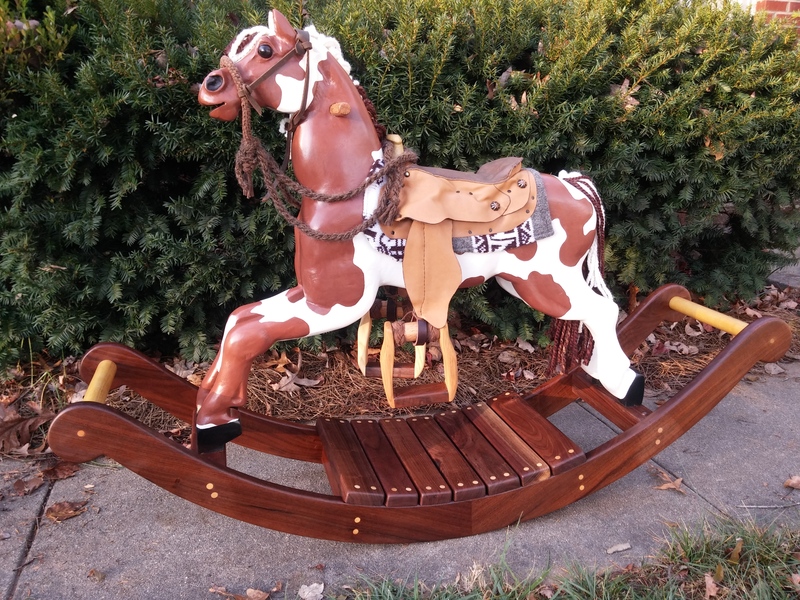 This charming horse is one of my earliest designs. 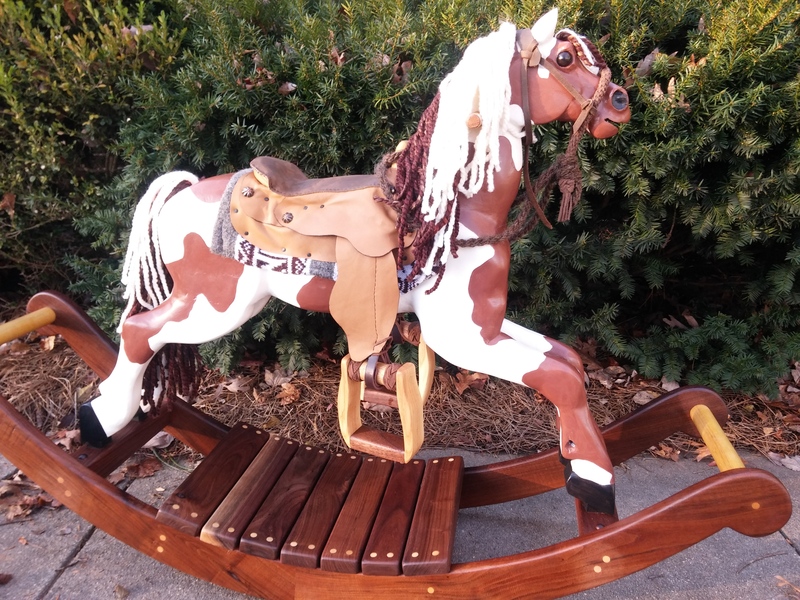 Perfect for the three to four year old (and up) cowgirl or cowboy, he will be a loyal friend for generations to come. 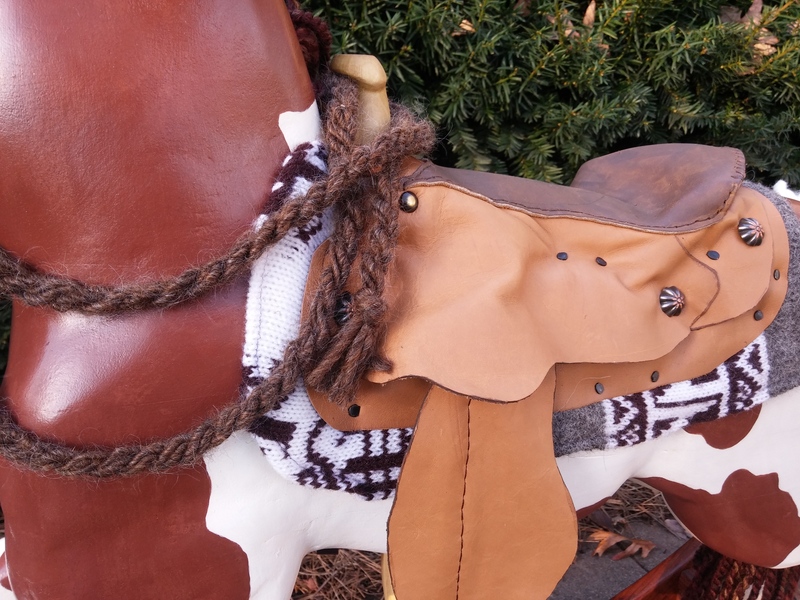 The hand made leather saddle is permanently fixed for safety. The bridle is removable, hand woven, with “authentic” hand twisted mecate rein (made with wool yarn instead of horse hair). 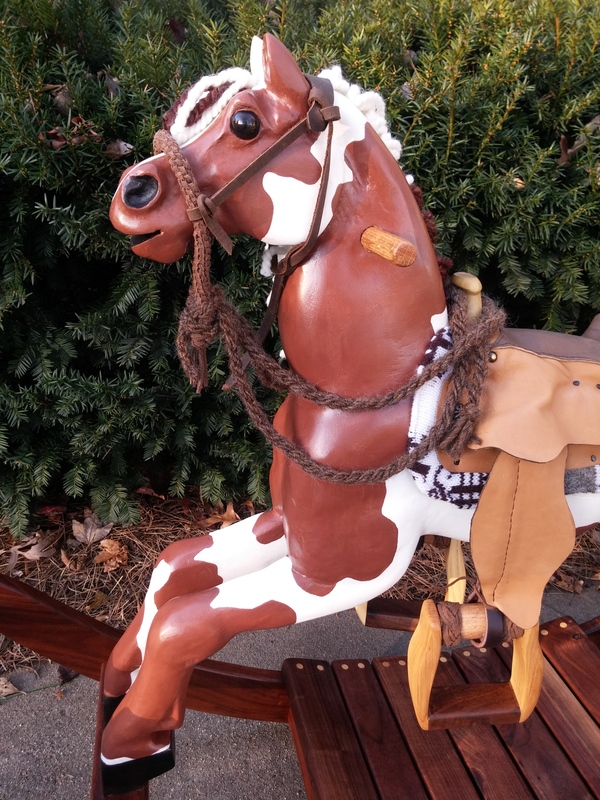 He is hand painted with milk paint and several coats of shellac for a lasting, luxurious finish.